The Federal government of Nigeria, through the office of the Attorney General of the Federation, Abubakar Malami, has filed two separate fraud charges against Senator Hamman Isa Misau representing Bauchi Central Senatorial District for making injurious statements against the Inspector General of Police (IGP), Ibrahim Idris. Recall that Senator Misau had alleged that the IGP paid N2.5m to get special promotion and posting through the Police Service Commission (PSC). He had equally accused the IGP of fraud and sexual misconduct and the Nigerian Senate had, sequel to that, agreed to launch an investigation into the allegation. 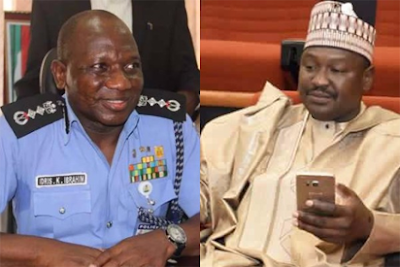 However, the police, in a response, had equally accused the Senator of absconding the force, a claim the Police Service Commission later disproved, maintaining that Senator Misau properly retired from the police force.